*Released in India as "The Rahu~Ketu Experience"
The book which should be read before a single word of Jyotish is learnt. The Absolute Basic Truths and Essentials for this day and age. It is the 27 constellations, and not the 12 signs, which truly map the ecliptic and provide the celestial backdrop for the affairs on earth. The knowledge of these 27 cosmic transmitters has been most well preserved in the Vedic heritage of India, where they are known as "Nakshatras". In addition to containing a detailed 23 pronged dissection of these celestial portals, this work contains 27 colored picture images that capture the functionings of these constellations in a way that words cannot ... This is the most extensive & definitive book on this topic todate and will set the standards for others that follow. This is a series of Notes written by Prash Trivedi over the last 5 years. This offering is only meant for those seeking the highest knowledge and sincerely wanting to understand the true nature of reality, language and the functionings of the universe. It is sent in a Word document containg 52 pages. There is no index/order/glossyness/pictures. It is simply a transcription of revelations as they came to Prash. Once again this is only meant for those looking for completely new ways of thinking. It will completely transform the'way one looks at words, meanings of words and nature of what is commonly known as reality. Mr Trivedi is the first astrologer to put together an exhaustive, historical, numerological as well as esoteric account of the Lunar Nodes, including a masterful perspective on their relevance in the present day and age. "Prash Trivedi, India's most insightful young astrologer offers what is probably the longest, most researched and most original book on Lunar Nodes (Rahu & Ketu in Vedic Astrology) published in modern times. This book is worthy of serious examination by all students of Astrology and all those interested in the great mysteries of life, death, karma and transformation." The Rahu Ketu Experience is a beautifully written and deeply evocative book on the subject of the lunar nodes in Vedic astrology. Prash Trivedi generously reveals some of the of the erstwhile secrets of the Brahman class of Indian astrologers by writing in a format which is lucid, extremely articulate, highly creative, and very well organized. In addition, (and so unlike most Vedic astrological texts by Indian authors), this book is actually FUN to read!! One is never forced to plow through page after page of basically unreadable verbiage in order to detect glimmers of decipherable wisdom about Vedic astrology, but rather it is all right there, up front, and presented in a highly straight forward manner. The case studies are richly and comprehensively developed, and there is no assumption of reader expertise or prerequisite understanding. The nodes come to life in this smoothly crafted work, and Mr. Trivedi's wealth of experiential wisdom and human compassion shine through on every page. Add to that the fact that new concepts and new information abound in this work, and it becomes one of the very best in the field. Do you know what your 'Karmic Distribution Control Planet' is? Find out in 'The Key of Life: Astrology of the Lunar Nodes,' a work which is brilliant in every conceivable aspect. "As a Westerner attempting to study the nakshatras, I've come across many perspectives and works on them, but it wasn't until I read your book that they finally 'clicked' for me and really came together. As a western and vedic astrologer, I tell everyone that asks me for information on the nakshatras that you've finally written "THE" book on them. Thank you so much for making this available for all of us." I purchased your book "The 27 Celestial Portals" a few months ago and it is excellent! I will certainly recommend it highly during my talk - I look forward to Prash's next work - he has done a wonderful job with the Nakshatras. It has been such a pleasure to read your book on nakshatras. I am a Jyotish student and practitioner in the US and am so grateful for your teaching in your books...I have your lovely new nakshatra book and also The Key of Life. Thank you for your brilliant educational service to the astrological community. Thank you also for another exceptional book, the 27 celestial portals. You are really sharing vedic culture in a format that is understandable by Westerners, but that is not an oversimplification. To my knowledge, it is the only book that gives a good explanation of the Padas and I have found that it is important to take them into consideration. I would really like to express my hearty best wishes to you for writing books on subjects which are so drowned in mystery and whose knowledge is limited to the few. I went through your 3 books. They are all equally informative and interesting and incite one to knowing /exploring more on subject. Your latest book, seems no exception in this matter. It is a topic I had been trying to unveil from many years. Everything is so nicely put and presented along with illustrations and examples;it is marvellous. My congrats and good wishes to you and team. I wanted to say that Prash's books are in a world of their own with their insight. Thank you for your light and God Bless. I really enjoyed reading The Rahu-Ketu Experience. Your latest book "The 27 Celestial Portals" is beautiful...priceless.. 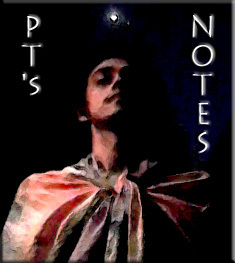 I recently purchased your book on Lunar Nodes and wish to thank you deeply. You have filled the book with many sparks of brilliance making it very illuminating. I was wondering, given your understanding of the Nakshatras demonstrated in this book... Would you write a book on the Nakshatras? I know of many, many astrologers who are thirsting for more information on the Nakshatras, so the book would be sure to sell well. Thanks again for your very fine work. Thank you so much for writing your book, "The Key of Life, Astrology of the Lunar Nodes". I am finding it completely fascinating. Your interpretations and understanding of the subject is quite amazing. At the moment I am using your book to prepare a presentation on the nodes. I am a student of astrology ........and this is my first paper. I have enjoyed it sooo much, many, many thanks, and with much appreciation. Finally, I'm not sure if I mentioned how excellent I have found your book The Rahu and Ketu Experience. I've read many Western and Vedic books on the subjects, but there is some way in which you really convey the personalities of these shadow planets, in all their complexities. It has helped my work as an astrologer a lot. Thank you! I have recently come across an amazing book covering the Lunar Nodes. The author, Mr. Prash Trivedi, has an astology practice in London and provides consulting services thru his excellent website at www.osfa.org.uk. The initials stand for Orion School & Foundation for Astology which also provides internet classes in Astrology. My Rahu MD started in 1995. My imersion in Astology began in 1997, of course understanding Rahu/ Ketu has been something like an obsession. But to my chagrin they seem to be truely, the hidden Grahas. Respected, yet consigned to the margins of analytical techniques. Treat them as malifics with limited aspects and sign associations. Yet any astologer can wax poetic all night long about her favorite true Planet. 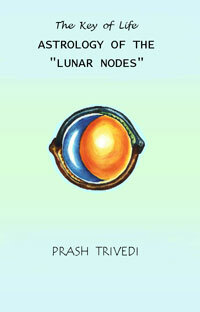 I believe you will find Mr. Trivedi's views on the Lunar Nodes quite compatible with the teachings of Hart de Fouw. Mr T. quotes Prashara for all his reasoning reqarding the influences and significations of the Nodes. Though he regards Ketu as exalted in Sagitarius, he makes convincing arguments for making Ketu a coruler of both Scorpio and Pisces! He makes a strong argument for the beneficial effects of Rahu in Taurus for many natives. But feels that Gemini is Rahu's exaltation sign while it would co~rule both Aquarius and Virgo with Saturn and Mercury respectively. The elegant reasoning is supported by a thorough knowledge of Vedic mythology and a nuanced understanding of Sage Parashara's teachings. I am sure that I will get the Nakshatra book when I am finished absorbing this one (Rahu~Ketu Experience) ~ it is simply a wonderful and valuable contribution. Dear and respected Mr. Prash Trivedi, I congratulate you on writing a wonderful book on Rahu and Ketu. It is perfect in every sense. I listened to you speaking about the vedic perspective on a recorded interview ~ it was good to hear that there are others out there who are prepared to challenge/question the modern day world~view which as we know is very much conditioned by Maya's illusory influence. I've just finished my second read of SUN ~ THE COSMIC POWERHOUSE ...it is a wonderful book and quite complimentary to the RAHU one. Congratulations again ... it has given me a lot to think about in my own research. I received the book "Rahu~Ketu Experience" last week, and just wanted to let you know that the information contained is VERY VERY insightful. It certainly helped me understand myself much better... many thanks for all the research you've done!!!!! The book Rahu & Ketu, arrived fast and promptly .....and I read in it every day !! I must say to you that it is a very clear and straightforward book ... very easy to read and with TONS of information..!! I am very pleased to have one in my care..!!! I have gone through your book "The Rahu Ketu Experience" and I have found it very illuminating and excellent book. I was sent your book 'The Rahu and Ketu Experience' from a colleague. I am very impressed with the book so far and wanted to congratulate you on a well thought out thesis on the nodes. I have read about a third of your book in the first day and it is unusual for a book to hold my interest. I have read your book about on Rahu Ketu and it is one of the best books on Rahu & Ketu. I have just finished reading your book and must follow the impulse to congratulate you and thankyou for writing it. Your theory in particular about the nodes being linked to ones grandparents and ones genetic inheritance is truly amazing. I have never read any account of the nodes which is so exhaustive and you ought to be congratulated over and over again for writing this. I'd like to thank you for your inspiration and the knowledge you share with all. After studying your book on Rahu/Ketu, I understand much better, why Rahu is included in the temple~muhurta (Brahmasthan temples in India). Thanks also for sending so quickly the Sunpower~book. I'm really enjoying your writings, and I hope there will be more coming. Thanks again and keep going. Dear Prash, First let me congratulate you on publishing "The Rahu Ketu Experience", which is really very very detailled compilation explaining the facts on them. I am an Architect pacticing in Ahmedabad, India and developped interest in mystic over last few years. Hence I studied little of Atrology, Vastu, Reiki etc. which gave me insight in to the cosmic world. Your book, The Rahu/ketu experience was one of the first books I ordered from India. I *so* enjoyed your book. Thank you. I have been through 'The Book' and could not be more delighted. much to ponder. thank you for sharing this beautiful knowledge. Have spent a lot of time on your book and there is still a lot to fathom. Many thanks for sharing the enlightenment. I purchased 'The Book' with apprehension but found that it opened my eyes on so many levels that I didn't even realize existed. I highly recommend anything by Prash Trivedi. All OSFA sevices are non-refundable and OSFA is not responsible for the damage to the books in the postal process.